PHUKET: The former Governor of Phuket, who currently serves as Inspector-General at the Office of the Prime Minister in Bangkok has urged all Phuket government to open up to the public and declare all public information to the Office of the Official Information Commission. The announcement was made by former Governor Chokchai Dejamornthan during a visit to the Phuket Provincial Electricity Authority Office (PEA) yesterday (July 19). Mr Chokchai told The Phuket News today (July 20), “The main purpose of my visit to Phuket is to inspect government agencies and evaluate which ones have passed the criteria for Prime Minister Gen Prayut Chan-o-cha’s ‘Government Information Center’. 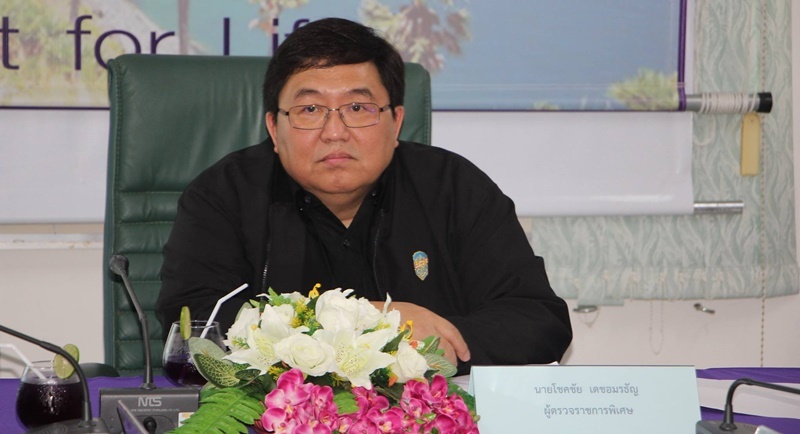 “The public must know that the Phuket Government Information Centre (GIC) is available to them and that this official connection must be ready by the end of the month at the latest,” Mr Chokchai said. Asked where the Phuket GIC is located, Mr Chokchai replied, “It is at Phuket Provincial Hall. “Furthermore, Vice Governor Siwaporn Chuasawad has joined me in reiterating that officials must follow instructions [relating to the GIC] and that they must give information to the public, without exception. “The GICs are being set up in accordance with the Government Information Act 1997, and it is important that all citizens be able to obtain reliable information about the government agencies and their services,” he explained. “Officials have to reveal information about project details and budgets to the public should they request it, this is acting transparently,” he added. The policy to create a “Government Information Centre” was introduced by Prime Minister Gen Prayut this year according to the Government Information Act 1997, with the Ministry of Interior selecting 61 sectors to make up the Information Center. “Yesterday I found out that Phuket Provincial Electricity (PEA) has been compliant in this act and is a great example for the other 46 offices (government agencies). Other official must look at PEA as they provide information openly,” he added.